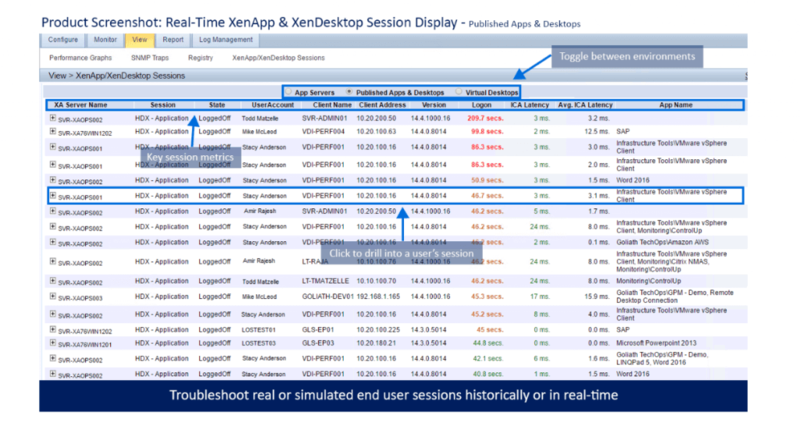 When troubleshooting Citrix ICA end user experience issues, problems are often rooted in the bandwidth users have available for Citrix connectivity or Citrix connection latency. However, these conditions are not visible from a pure network monitoring perspective, as network monitoring tools can only leverage Netflow, AppFlow Analysis, SNMP, SYSLOG or ICMP monitoring. 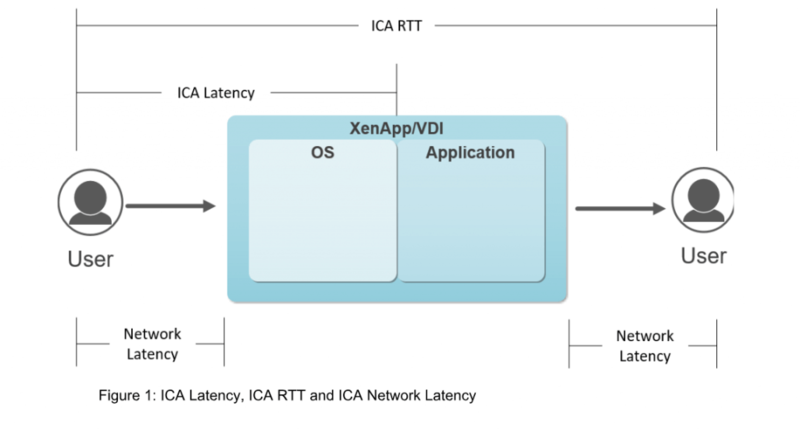 The key data necessary to gain visibility to a user’s session is found in the Citrix ICA Protocol and requires protocol integration from the VDA to access the necessary metrics on a user basis – not a network device, route, or trunk. This user-based approach to tracing their network performance enables Goliath to isolate the conditions effecting one or many users with sessions traversing the same network where some are experiencing a problem and others are not. These issues can be accurately identified, and connectivity constraints more accurately determined, by looking at the following metrics: User Connection Speed, Network Latency (from the Citrix ICA Channel), ICA RTT, and ICA Latency. Goliath Performance Monitor is the only product that can open up the ICA protocol in this way to give you the visibility and the accurate metrics to determine slowness, and the combination of all of the above metrics are required to achieve that determination. Click here to request your free demonstration or trial.